89-05 ELECTRIC Steering Rack, Adjustable!!! - Miata Turbo Forum - Boost cars, acquire cats. 89-05 ELECTRIC Steering Rack, Adjustable!!! For sale on eBay for $1050. On sale through MT for $975. Message me for more info. 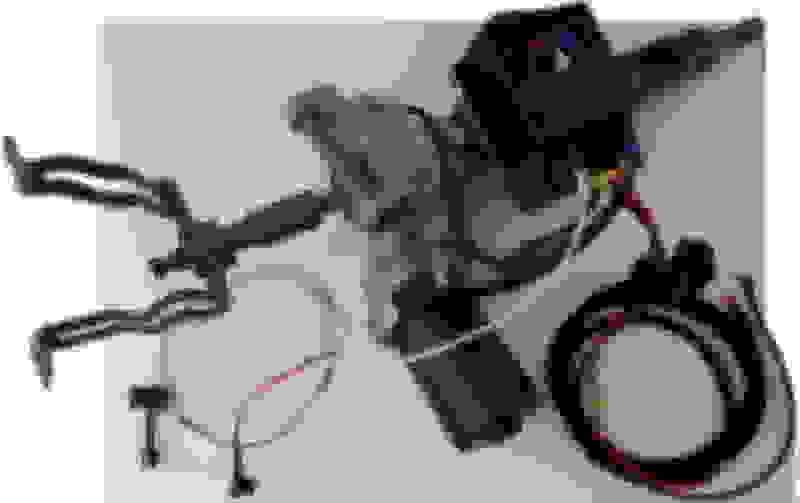 Complete Column Based Electric Power Steering (EPS) Conversion Kit for all 1990-2005 Mazda Miata. This system's assist amount is fully adjustable on the fly to the driver's taste via a **** that can be mounted anywhere you prefer. This is Full DIY plug and play kit. Installation is very simple and should average around 3 hours. Please email any installation questions and will gladly send you some basic install instructions. Allows you to have the best of both worlds by removing the bulky and power using OEM Power Steering Set Up from your Miata and having an even better feel for your vehicle by being able to dial in the amount of assist you desire. Cleans up the engine bay nicely, saves some weight (About 5 LBS and Provides Slightly Better Weight Distribution As well) and some power and works better than OEM Power Steering! Wonderful Solution for Miatas with Big or Custom Turbo Set Ups or that have had engine swaps like LS Miata, K Miata, V8 Roadsters, Monster Miata and etc... Great for Autocross, Drifting, Time Attack, Road Course etc... Mounted under that dash and grafted to the factory steering column allowing an OEM fit and OEM Function (OEM Turn Signals, OEM Ignition Switch and Key, OEM Steering Column Lock, OEM Steering Wheel and Airbags etc... will all be able to be retained. Any OEM Miata Steering Rack will work with this Conversion Kit. 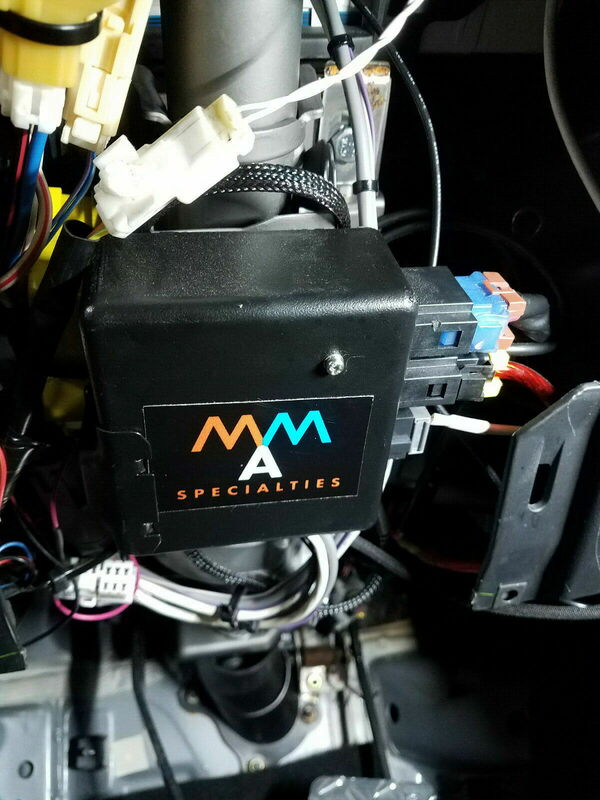 This system will even work with the OEM Power Steering System Still Installed on your Miata and Just the Power Steering Belt Removed. We also offer a Professional Power Steering Rack Depower service as well for those that do not want to undertake that themselves. There is a $199 Steering Column Core Fee that will be billed separately before your Miata EPS Conversion Kit is Shipped. 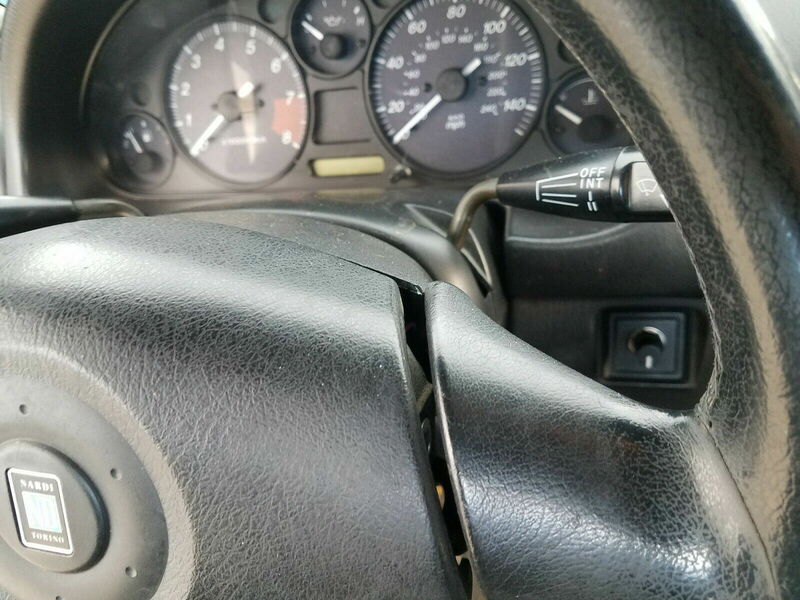 Once we received your Core Steering Column that is found to be in Good Re-usable condition you will receive the Steering Column Core Fee Back in Full. You may also elect to send in a Good Re-usable condition Steering Column core before we ship to avoid the core charge all together. We only need the bare steering column with no ignition switch on it or anything else attached to it. 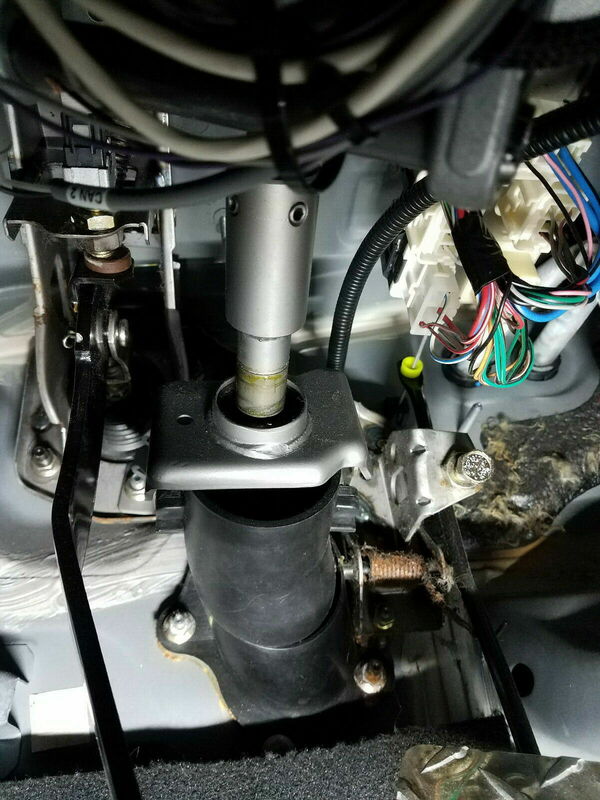 Easiest way to remove the ignition switch from the column is by cutting a slot in the top of the steering column bolts with a die grinder or Dremel so that they can be removed with a flat head screw driver. Last edited by cordycord; 02-15-2019 at 02:02 PM. So this will work with all PS components removed but an untouched rack? Meaning I ditched all PS components but haven't taken the rack apart to cut the seal and weld the pinion. How gradual is the adjustment? Can you add a very minimal amount to ease up on a typical depowered feel while keeping it still much like a depowered rack? ^ This is a good question. I'm not a potential customer, but for those who are, what are the expectations for the rack? Unmodified PS rack, welded PS rack, OEM manual rack? If PS rack, recommendations as to seal-cut vs. looped lines vs. something I haven't thought of? Yes, since you can test how you like a de-powered Miata by simply removing the belt. It has more resistance than a proper depower, therefore you'd have a higher setting on this electrical rack for the same level of assist vs. a de-powered rack. One last question. By dialing the adjustment **** fully "down" will the assist be off or slightly engaged? If not off, by killing power to the controller will the steering be as it would prior to installation or will there be drag on the column from the motor? If it's what I hope this is great! Just not for my wallet. Sorry for the delay. When the rack is off, it's off. When it's fully on, it's true one-finger driving. Obviously if you don't do a proper rack de-power then the electronic unit will be fighting against the inner seal, so a proper de-power is recommended. 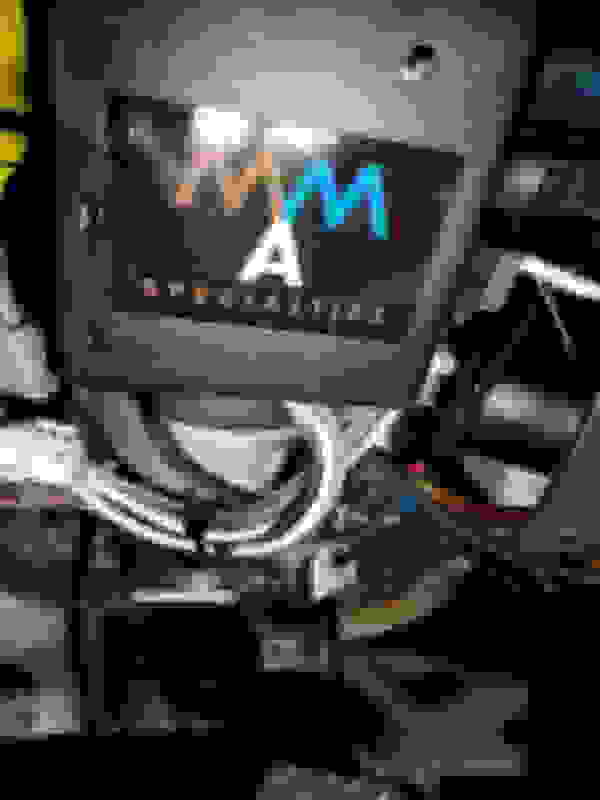 This is an OEM unit that's modified by a company that specializes in steering assemblies. It's not a garage job. How's the road feedback with this rack? I'm guessing that it's variable due to the adjustment. This is an amazing product! I hope to own one once my cars k swapped. I'm talking about being able to feel a camber change, being able to feel the front start to push just before the car actually understeers, feeling the level of grip on the road, feeling the grain of the road, feeling the steering weight up as you lean on the car in a corner. Basically everything that (for example) BMW have neutered from every post 2012 car with their EPAS implementation. Last edited by SamM_UK; 02-11-2019 at 11:15 AM. Exactly. You get to decide how much feedback you want. Technically you can turn it way up in the parking lot and then turn it down on the track. This really is the answer. These racks are used extensively in the off-road industry--all the "truggies" and unlimited trucks use them as the packaging is far easier than running hydraulic lines from the mid or back of a race car. And this is why being able to run it through CANBUS and have it automated based on VSS slash what have you would be so freaking cool. It would be a full manual rack at speed should you want it to be and then the assist can come on and off based on your speed and what you require. Since the unit appears to already be setup to take an analog input, I'd imagine that it should be possible to control it with a programmable 0-5v output from the ECU. weight/steering effort - the amount of physical effort required to turn the wheel. The Miata has great steering feel, just as my RX-7 did, both are HPAS. Most modern EPAS systems are as numb as my face after a root canal. That's my query. Is this rack numb like modern EPAS? I think you intuitively know the answer. When it's off, it's 100% responsive. That means all the good and all the BAD of being "responsive". You get to dial in how much help the rack will give with the rheostat. Yes, it's probably possible to create a program to tie the power variable to the speed of the car, but then again you've got a rheostat right there. That's the big difference as far as I'm concerned. I think you'll find that you can dial it in so it feels better than factory. My personal opinion. Yes, this unit will work with all PS components removed but an untouched rack and even untouched complete OEM Power Steering System with the exception of the Belt. We are currently testing this unit on a daily driven NB Street Car and all we did was remove the power steering belt. Since the EPS Unit is having to fight the hydraulic fluid we have to turn the **** to approximately the half way point between off and full assist to get similar amount of assist as the OEM Power steering. In our opinion the Road Feel is Better than OEM! We are also running this same EPS System on our Optima Ultimate Street Car Challenge Miata. On that car we had the Original OEM Power Steering rack professionally depowered including welding of the pinon shaft. For Motorsports and Competition Application professionally depowering the OEM Power Steering Rack is the way to go in our opinion. With a properly depowered OEM Power Steering rack Even with big fat sticky tires the EPS control is dialed way down (Probably Around 25ish% Max) and the wheel is very easy to turn and the road feel and feedback is even better than OEM in our opinion. There is a way to have the unit vary in assistance based on speed automatically. Those of you that are interested in trying out that option please let Cord know so something can be put together for you. If you turn the adjustment **** all the way counter clockwise it will turn the EPS Unit completely off and it will be exactly like having no Power Steering At all. In our opinion its better than OEM Power Steering. Most modern day EPS Cars have an Electric Steering Rack. This system retains a mechanical steering rack and adds assist through the column instead of at the rack like many modern EPS Systems on many modern vehicles. Because of this system being a column based steering assistance, the Road feel is amazing in our opinion. The BMWs and Most Modern EPS Vehicles are assisted at the Steering Rack. Because this Miata EPS's assistance is at the Column this system has great Road Feel and Feedback in our opinion. Ok that's an interesting comparison. Thanks for the clarification! This probably explains why out of all the modern cars I've driven with an electric assist, the ToySciBaru GTBRFR86SZ felt the best because they too have the assist on the column rather than at the rack. Last edited by SamM_UK; 02-12-2019 at 06:03 AM. Quick Reply: 89-05 ELECTRIC Steering Rack, Adjustable!! !